Do you remember my Kohl’s mini haul during the Labor Day weekend? Well I didn’t get a chance to wear the blue sleeveless dress, but I did wear one of the maxi skirts. I don’t know about you but I love high waist skirts and jeans so this was a perfect skirt to wear to work. 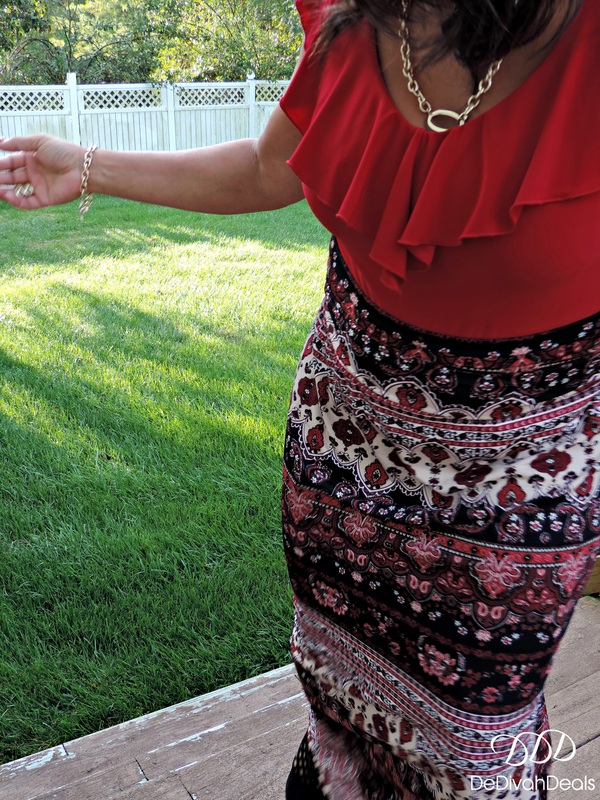 When I wore this outfit it was still relatively warm, but the weather has changed so it is definitely time for Autumn attire, so the next time you see this skirt it will be most likely be with worn with boots and a sweater. What Fall fashions are you most looking forward to wearing? The necklaces and bracelet were purchased from Avon and I will be doing another Giveaway soon, so please sign up for my Newsletter so that you can to get a jump on the announcement with a bonus entry. 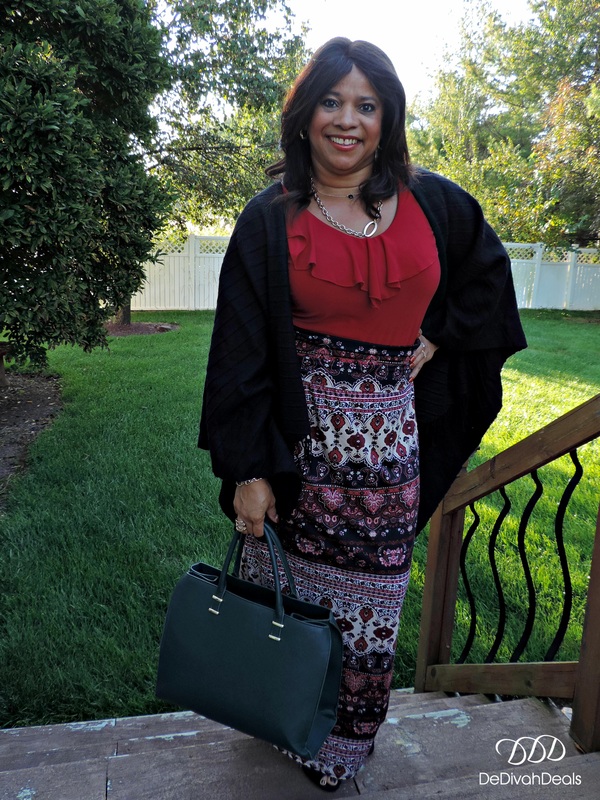 The H&M purse was thrifted from Goodwill and the shawl is from Burlington Coat Factory. 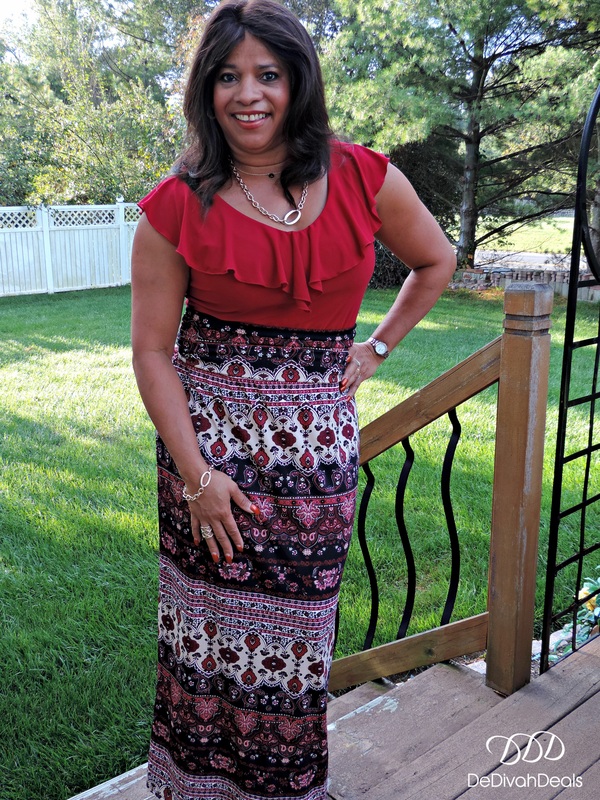 Since I don’t normally shop retail I forgot to go back and use the $10 Kohl’s cash, however, I may pop over before the holidays to pick up a few more maxi skirts to add to my already overcrowded closet! I like that skirt! Haven’t been in Kohl’s in awhile might need to go peek in. I don’t go too often either but when I do, it’s always at the clearance racks! You did good my dear. That skirt is so versatile and looks so darn good on you. Enjoy! Thank you blog sistah, I love a good deal! You look great, sis. LOVE that skirt! Thank you, it was a great deal and I love Maxi skirts. Cute as always! I just love all the fashions Fall has to offer! 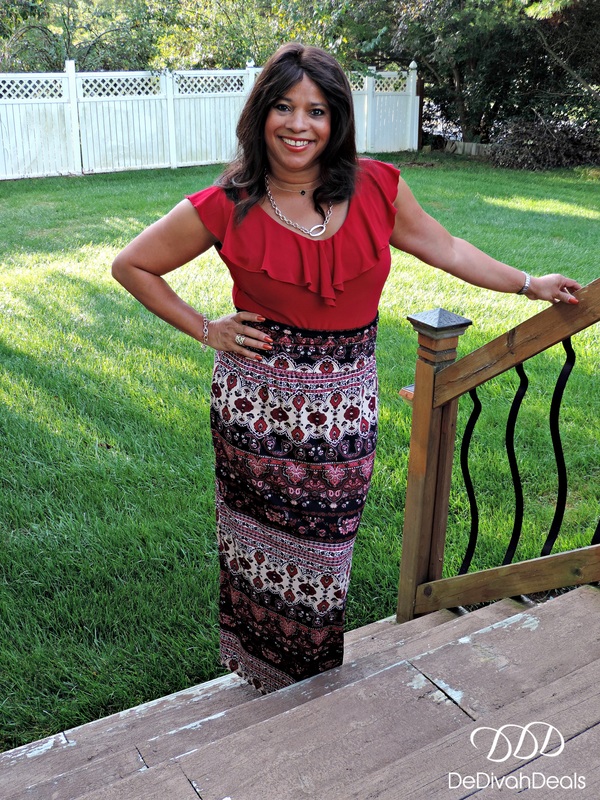 Thank you my dear, there is something that I love about Maxi skirts as they are very versatile, hide flaws and transition well. What a beautiful skirt! 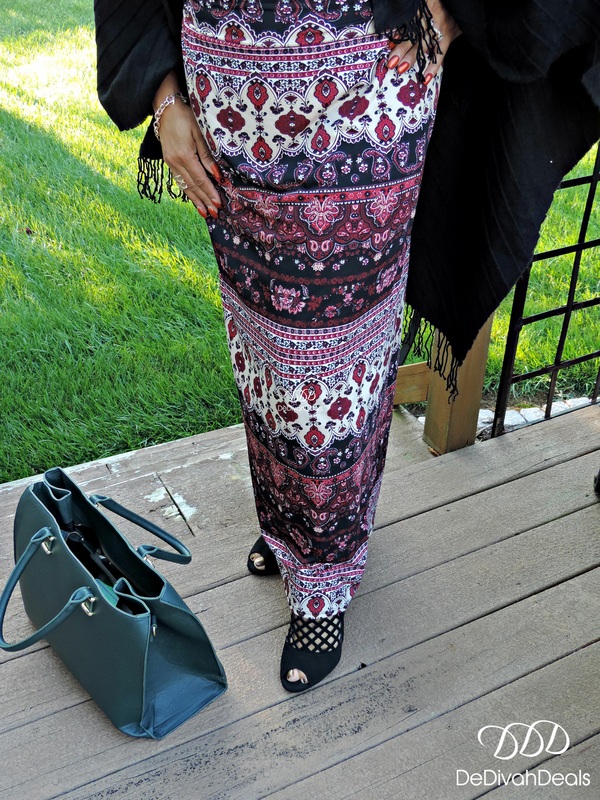 I love the maxi length and the pattern is beautiful.